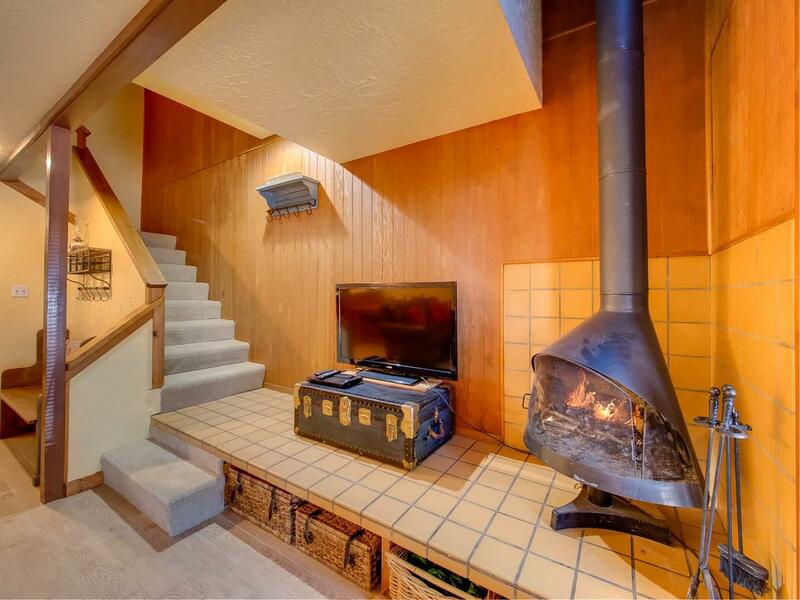 If you're looking for a low maintenance getaway in the mountains, this French Henry condo might be for you! 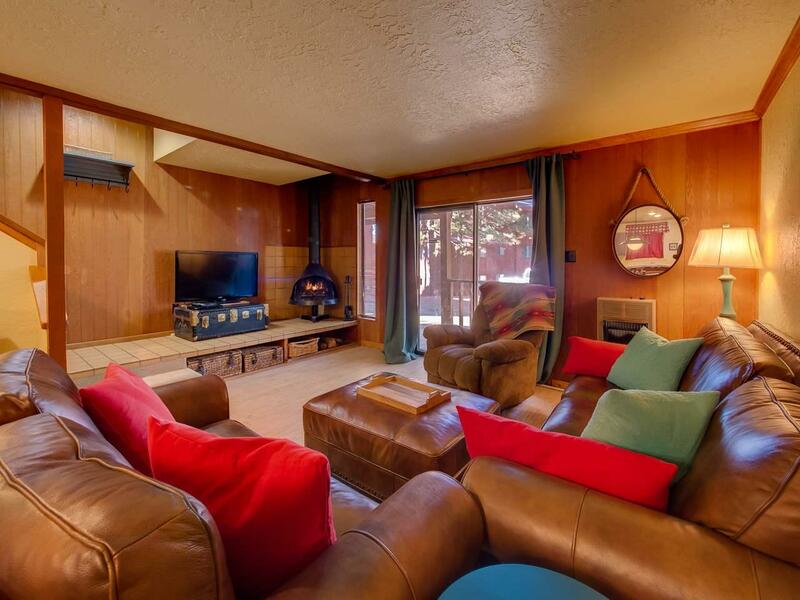 Only one block from the Angel Fire Resorts ski mountain, this condo provides a great location with walkability to shops, hiking, biking, skiing and restaurants. 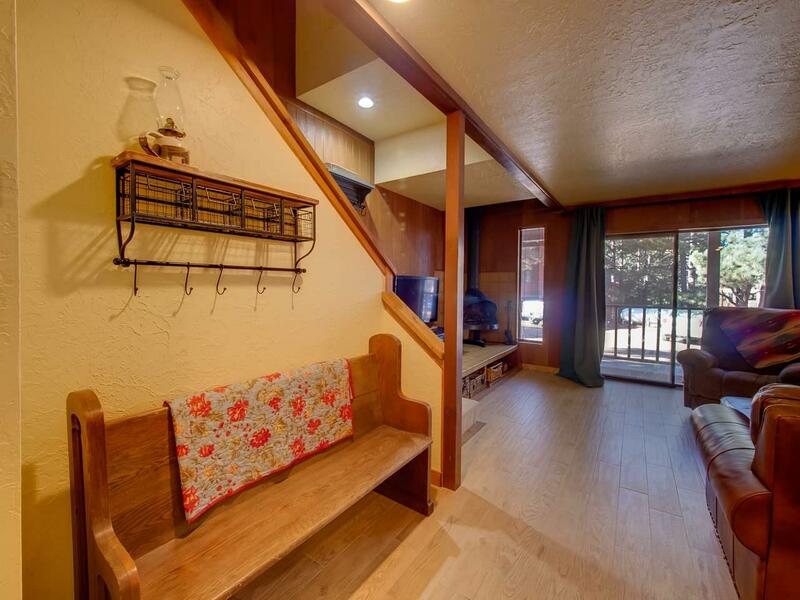 Step inside and you'll find a remodeled condo that's move-in ready. The great room features new tile flooring that looks like real wood, a nice dining area with a solid wood table set and a wood burning fireplace. The half bath is next to the kitchen and has been recently remodeled with a granite vanity top and updated fixtures. The two bedroom suites are located upstairs, both with ample closet space and ensuite baths. The master bedroom has a private patio with wooded views. The laundry area is also upstairs with a stacked washer and dryer. 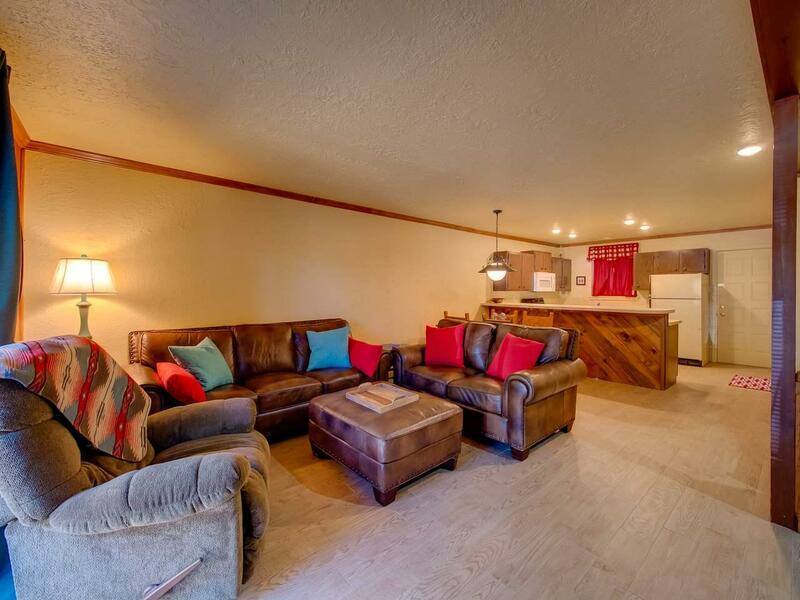 This condo comes mostly furnished and is ready to enjoy.